2019 Uhlsport Next Level Goalie Gloves in stock in at Keeperstop in the USA. 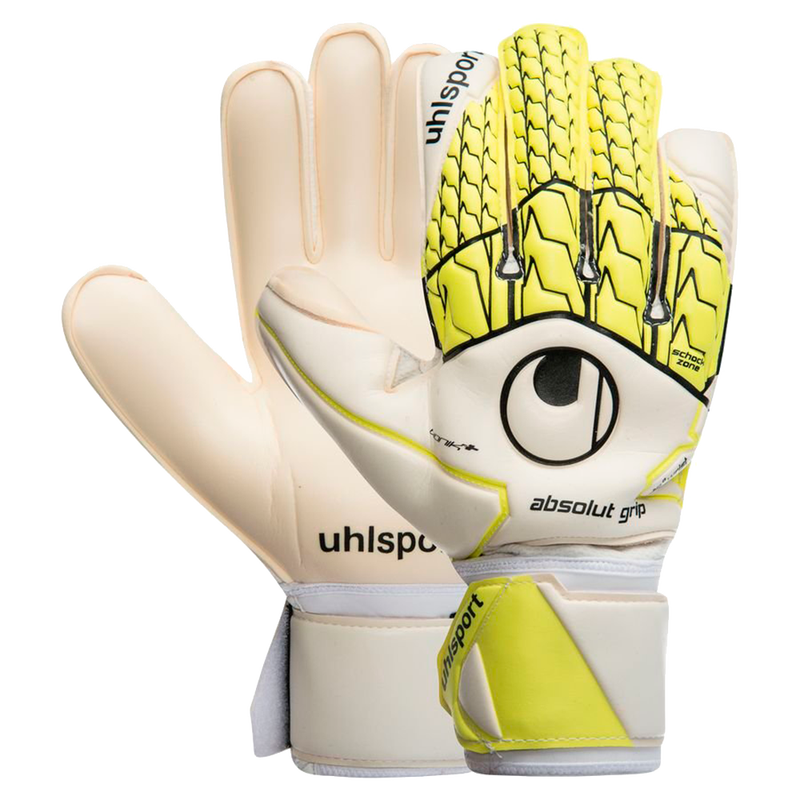 Uhlsport has some of the best finger protection available in goalkeeper gloves! Want to protect your fingers? The Uhlsport Bionik system can help you! The perfect combination of grip and protection for $100!!! The Uhlsport Supergrip and Bionik fingersave glove technologies are some of the best in goalkeeping. The newest top level releases have are the Uhlsport Next Level Supergrip HN and Reflex offering the best grip and durability at the game level for advanced male and female goalkeepers. The absolutgrip latex offers good grip in all weather conditions and has been the choice for professionals for years. The new range replaces the Aerored and the popular Tensiongreen which you can find on sale. The Uhlsport Bionik finger protection glove is a leader with its light weight, flexible, and very stable one piece fingersave technology. It is available on sale in the Supersoft Bionik and Supergrip Bionik +. Keeperstop.com is the Uhlsport goalkeeper glove expert in the USA. Contact us with any sizing or review questions.